Writing for the Atlantic, Sarah Zhang takes a second look (I am realizing paying attention to the re-runs and the re-cap is important) at a John Hopkins study called “The Devil’s in the G-Tails,” which demonstrated a remarkably low recall on how to properly write a standard lower-carriage g and questioned why there’s such a disconnect between handwriting (to the extent we can be bothered anymore) and print. 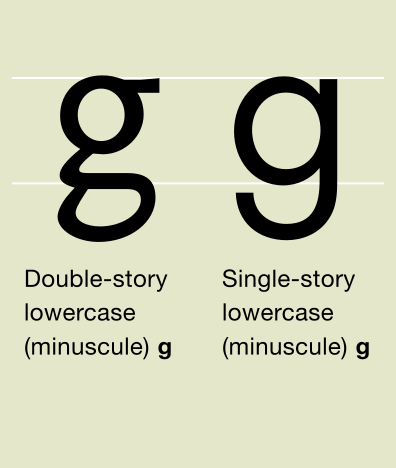 The double-storey g originated in the scriptorium and was transcommunicated to the foundry and remained, even though for correspondence and note-taking, the single-storey minuscule took off. 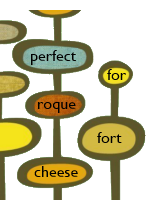 Briefly in the 1950s the variants (allographs) were used by the International Phonetic Association to mark a distinction between the hard- and soft-g sounds but that convention was since abandoned. It’s something to be sure to consider what’s in the serifs and ligatures of our refined fonts and how those fiddly bits are fossils of the past and the developmental history of penmanship and printing.